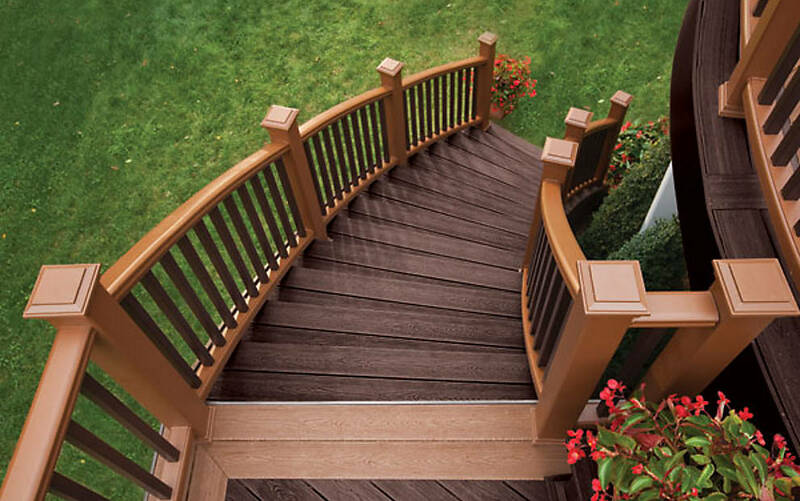 A Trex composite deck is ready whenever you want to use it. No sanding, staining, or painting – a little soap and water or a quick power washing is all the maintenance Trex requires. Wood decks take constant care. Trex composite decking is more durable and longer lasting. When you look at all Trex has to offer, wood decking begins to feel like signing up for a second job. Trex won’t need seasonal painting, staining or sealing. Wood decking does need seasonal painting, staining or sealing. Trex won’t rot, warp or splinter. Wood decking becomes a safety hazard when it rots, splits and splinters. Trex does not fade or stain. Wood decking fades and stains easily, showing every spill and scuff. Trex won’t become food for termites. Insects can cause extensive structural damage in wood decking. Each board is made up of 95% recycled materials. Wood decking contributes to deforestation, cutting down trees that local wildlife depend on for food and shelter.